The busy catastrophe season in Canada thus far is continuing with no signs of slowing down. Two severe weather storms in Ontario this year, one in February and one in March, cost insurers more than $70 million in insured damage, according to Catastrophe Indices and Quantification Inc. (CatIQ). That makes five catastrophe events so far this year, compared to two during the same period in 2018. Variable hot and cold temperatures this season have wreaked havoc in the form of water damage in Ontario, peaking in the beginning of February and again in early March. On Feb. 4, the temperature in the province soared to between 10 C and 15 C, breaking records across southern Ontario and causing significant snowmelt. That very same evening, between 20 cm and 40 cm of snow blanketed northern Ontario, freezing rain and drizzle fell from Sault Ste. Marie to Ottawa, and rain fell across southern Ontario. Insurers responded to widespread reports of water-related damage, including basement leakage, sewer backups, and burst pipes. A burst water main in downtown Toronto created two sinkholes. In Ottawa and Cornwall, roads flooded due to clogged catch basins. Total insured damage for this event alone was more than $33 million. And then it all happened again – only this time, with high winds. On Mar. 9, southwestern Ontario saw strong winds and warm temperatures followed by rain and, in some areas, freezing rain. In Ottawa, snow changed to freezing rain, and then to rain and drizzle as the day went on. Peak wind gusts of between 80 km/h and 100 km/h were reported from Windsor to Prince Edward County. Throughout portions of southern Ontario, the heavy rain and snowmelt led to reports of flooding and water-related damage. Much of the damage happened in Toronto and surrounding areas, caused by the melting of an unusually large snowpack. Damage included roof and basement leaks. Total insured damage totaled close to $37 million. The two events above, plus another ice-and-snow event that occurred on Feb. 24, put insured cat losses in Ontario alone at around $118 million thus far. Currently, Quebec is experiencing a snow storm coupled with high winds that has left about 225,000 Quebec hydro customers without power. The situation is acute in Laval, Que., just north of Montreal. Quebec City has also been hard-hit. 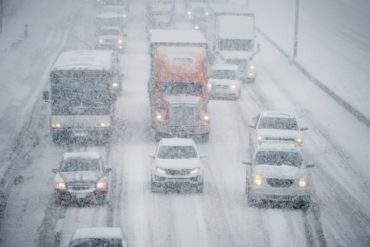 The Weather Network reported that Atlantic Canada was due for some serious snowfall Tuesday, with some parts of the region expected to receive the entire month’s average for April snowfall in a single day. “As the financial cost of severe weather rises, Insurance Bureau of Canada (IBC) is advocating all levels of government to increase their investment in mitigating the impact of extreme weather events and in building resiliency to the damaging effects of these events,” Canada’s home, auto and car insurers said in a statement. “IBC is campaigning for improved building codes, better land-use planning, incentives to shift the development of homes and businesses away from areas at high risk of flooding, and upgraded infrastructure to protect communities from floods. Winter storm could become first billion-dollar weather event of 2016 for U.S.